Buying property in the U.S. may seem easier than in many other countries. The real estate markets are open and there is generally no ban on foreign investment in property (personal or corporate). But beware - U.S. real estate markets can be complicated, depending upon where the property is located. Each state has its own rules and regulations for property transfer-- that means 50 different sets of rules! It pays to be well-educated at the start, particularly as the purchase relates to U.S. taxes for expats. Tax implications are often ignored in the buying process but certainly should be on your radar. Planning to borrow to buy? According to U.S. Census results, 70 percent of homes in the U.S. are mortgaged. Mortgages are also a large chunk the banking industry. It will take a lot of documentation to obtain a mortgage from a U.S. bank, but the mortgage rates are low and the interest paid on the loan is tax deductible on your U.S. taxes, if you have any taxable income, or if you should choose to rent. There are additional benefits to mortgaging property with a U.S. bank: most banks require the proper transfer of title; property insurance; and escrow accounts that pay property taxes and insurance. This saves you the hassle of dealing with these individually. Additionally, your mortgage provider will provide you with an annual statement for tax purposes detailing all aspects of your transactions. You will pay property taxes in the U.S. 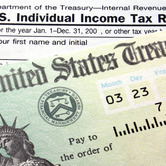 The U.S. tax system is separate for property taxes. In many states, you will pay higher taxes if you are not a permanent resident, so make sure you look into your tax rate as a non-U.S. resident. Don't assume the taxes paid by the seller will be the same as yours. If the property is a rental property - the tax will reduce your taxable income on the property for U.S. tax purposes. Will you have to file U.S. taxes? Maybe, maybe not! This is a complicated question, but here are some general thoughts. 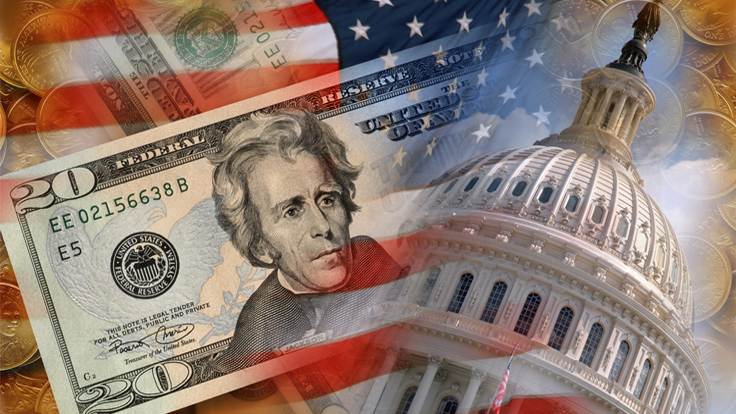 Nonresident aliens are taxed on U.S. investment income and their U.S. trade or business income (Sec. 871); so depending upon the purpose of your purchase, you may not be required to file income tax returns, i.e. if it is a pied-a-terre. If you plan to rent, there is possibility of filing as a business or a trade, which allows all deductions and losses from the activity to be claimed on your U.S. taxes. Otherwise, the real estate income is subject to the flat 30 percent withholding tax levied on a gross basis. So you may want to consider renting the property for a portion of the year, as it could defer some of the holding costs of your property without adding taxes. Should I use a corporation to buy property? The real answer to this depends upon your purpose for purchasing. A foreign corporation that earns investment income in the United States or conducts a U.S. trade or business must file a U.S. tax return. 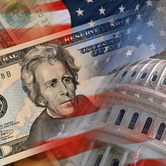 The rules governing U.S. taxation of a foreign corporation's income parallels those for nonresident aliens; but keep in mind that in addition to the regular tax, foreign corporations are also subject to the alternative minimum tax, accumulated earnings tax, and personal holding company tax. The main advantage of using a corporation is liability protection, which is important in a country that has over 90 percent of the world's lawyers! How long can I spend in the U.S.? If you are planning to buy a home in the U.S. and spend time there, this issue really affects your taxes. Remember, the rules for residency in the US are different for paying taxes than for any other purpose. The U.S. has a two pronged question that determines residency - a physical presence test and a lawful residency test. If you pass either - you are a resident of the U.S. for tax purposes. The physical presence test can get complicated, but it boils down to the days you spend on U.S. soil. If you stay in the United States for 31 or more days during the current calendar year and a total of 183 or more days during the current and the two preceding tax years, you have presence. (Those 183 days are calculated on a weighted basis.... each day in the current year is weighted one, each day in the first preceding year is weighted one-third, and each day in the second preceding year is weighted one-sixth.) Having presence in the U.S. means you will be ineligible for tax deductions and exclusions given to those having a primary residence overseas. These deductions and exclusions are critical to reducing U.S. taxes for expats looking to avoid double taxation (being taxed on income in both their home and host country). So if you plan to reside primarily overseas, it is important to carefully calculate the number of days you spend in the U.S. to protect those tax credits! Note- this is a different Physical Presence Test to the one used to gauge your expat tax status. Buying property in the U.S. can be a great experience, and afford you the best of both worlds -- living abroad while maintaining a property in your home country. It simply takes the proper planning, understanding and consideration for all factors to ensure it's the right financial choice for you. David McKeegan is the co-founder of Greenback Expat Tax Services, a firm specializing in preparation of U.S. expat taxes for Americans living abroad. With mortgage interest rates near all-time lows, many US expats are entering the real estate investment market for the first time. 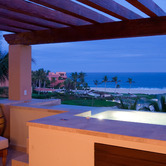 The allure of a 'home away from home' has enticed many expats to purchase a vacation home. Buying property in the U.S. may seem easier than in many other countries. The real estate markets are open and there is generally no ban on foreign investment in property (personal or corporate). But beware - U.S. real estate markets can be complicated.